Our lovely Turffontein - Inkster 2 year old filly headed to the paddock after her recent jumpout at the Cranbourne Training complex. She has had a thorough grounding which saw her progress to an educational jumpout performing very well. 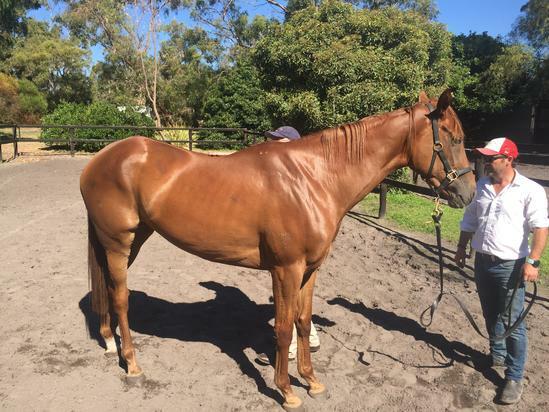 She has plenty of size and strength and a nice break now will get her ready for possibly a couple of races as a late 2 year old in preparation for hopefully the staying 3 year old fillies races in the Spring.